Today I drop off my Community Warehouse Chair Affair 2011 entrant, "The Night Yeti". 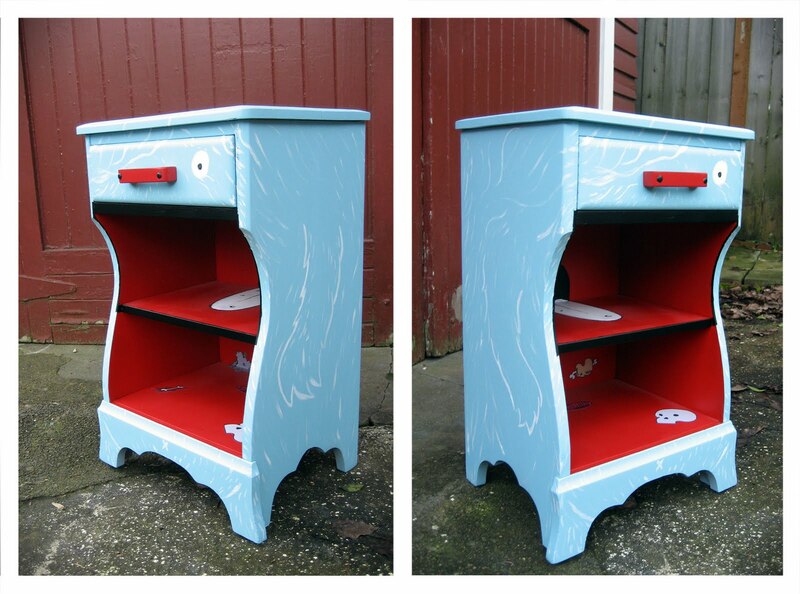 It will be auctioned off starting April 28th, along with several other wonderful furniture creations from various Portland Artist! The proceeds of the auction will go to the Community Warehouse, who collect and redistribute donated furniture and household goods to low-income individuals and families in Oregon and Southwest Washington. The Chair Affair is their biggest fundraising event and I'm proud to have my lil feller on their auction block. There'll be two chances to bid and support the Community Warehouse on April 28th and 29th. 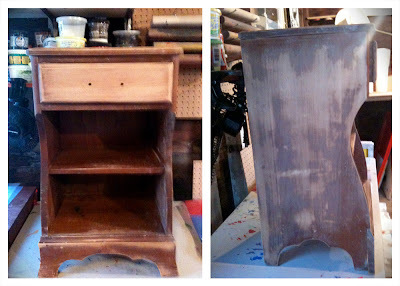 Be sure to checkout the website, http://www.communitywarehouse.org/chair-affair-2011 and to reserve your ticket today. I don't often work with 3D objects, so making this guy was a unique challenge for me. 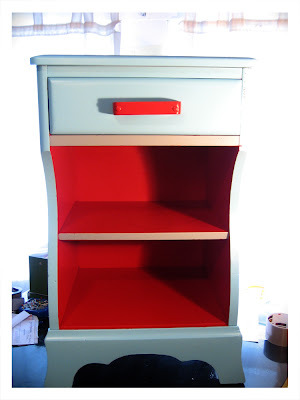 There was also the stipulation that the object should retain it's functionality so I started off by cleaning and sanding down the nightstand I picked from the Community Warehouse back in Nov. and then spray painting it with a powder blue exterior and red interior. 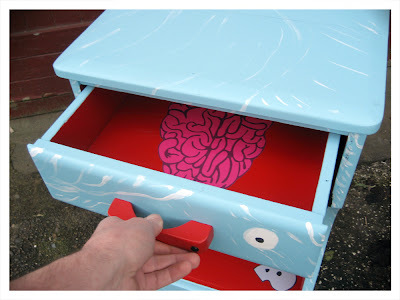 There are little hidden gems ( like the brains in the drawer) that I think the buyer will enjoy finding as they use this piece. 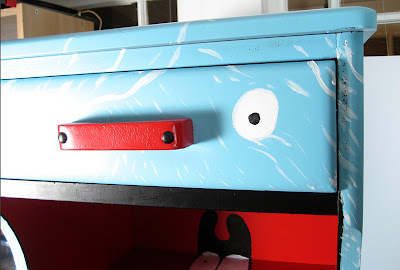 If you like my lil Yeti and would like to bid on him to support a great cause, please be sure to checkout the Community Warehouse Chair Affair 2011 event.